Hello, hello, pay attention to the manager!” LVG admonished those present for not applauding the female saxophonist, who he said had played “fantastically”. 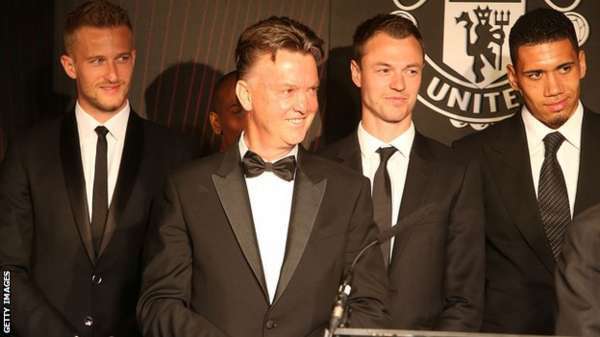 Manchester United boss Louis van Gaal produced what was described as the “greatest speech of all time” to steal the show at the club’s player of the year awards evening. After Spanish goalkeeper David De Gea won both the Players’ Player and Fans’ Player of the Year accolades for a second year running, Van Gaal took to the stage live on MUTV. Recalling a team meeting at which captain Wayne Rooney said United could push for second in the Premier League, the Dutchman bellowed “yes” and punched the air. Repeatedly referencing the fact United had won 13 points from the first 10 games of the season, the 63-year-old described the club’s fans as the “best in the world”. Then, with presenter Jim Rosenthal wrapping up proceedings in Old Trafford’s Manchester Suite, there was a Van Gaal encore. 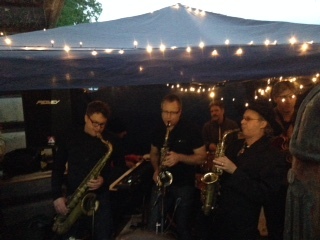 He then admonished those present for not applauding the female saxophonist, who he said had played “fantastically”. Midfielder Juan Mata, who won goal of the season for his acrobatic strike in at Anfield, said Van Gaal’s speech was “fun”. Ex-England cricket captain Michael Vaughan described it as the “greatest speech of all time”. Earlier, Van Gaal light-heartedly clipped assistant manager Ryan Giggs round the head after the Welshman outbid him in an auction for a round of golf with former United striker Dwight Yorke. 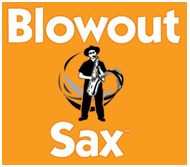 The legendary BlowoutSax School of Bath is opening itsdoors in North Parade for an incredible informal evening of saxophone based party music played by Mark Archer and Craig Crofton with selected students backed by a top class trio of Anders Olinder on keys, Andy Tween drums and Jerry Cozier Cole on Guitar. The Jazz Cafe celebrates 25 years. 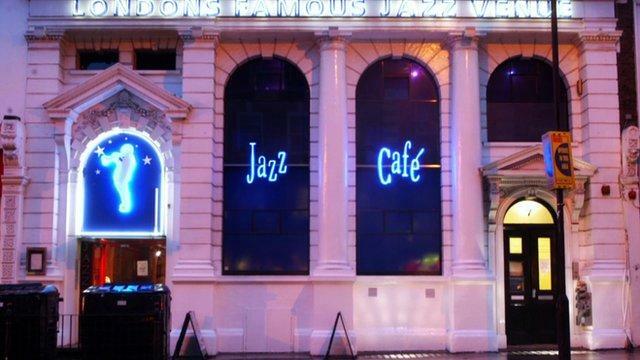 The Jazz Cafe, one of London’s most famous venues, celebrates 25 years at the forefront of London’s music scene. 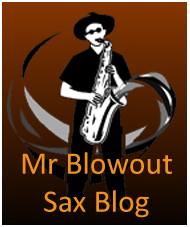 The Blowout Sax School took students to see the great Lou Donaldson and Manu Dibango there. Top live venue. 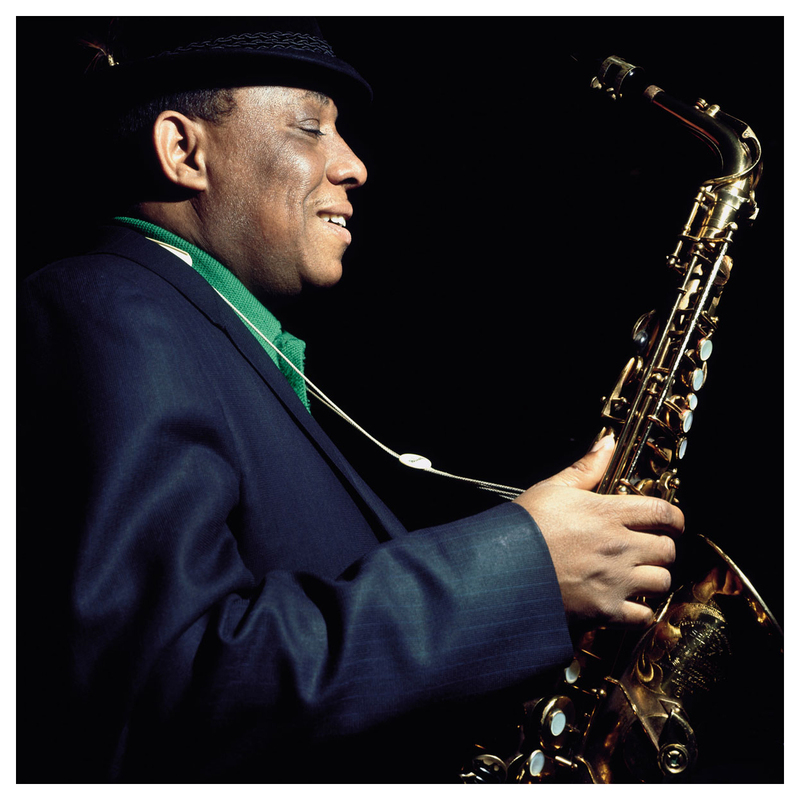 Here’s my write up on Lou..
At the age of seventy-seven, the stellar presence of Poppa Lou D arrived at London’s Jazz Café where he was greeted with rapturous applause. He launched into his playing. And suddenly the Café was full of the sound of Lou D. It was the sound that I’d heard on record and taught in the School and yet it spoke to us all so simply and conversationally. His technique was strikingly effortless and very precise. 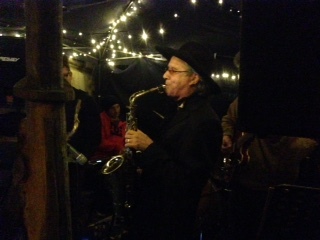 Lou himself was quick to grin and was a very together funky old dude.